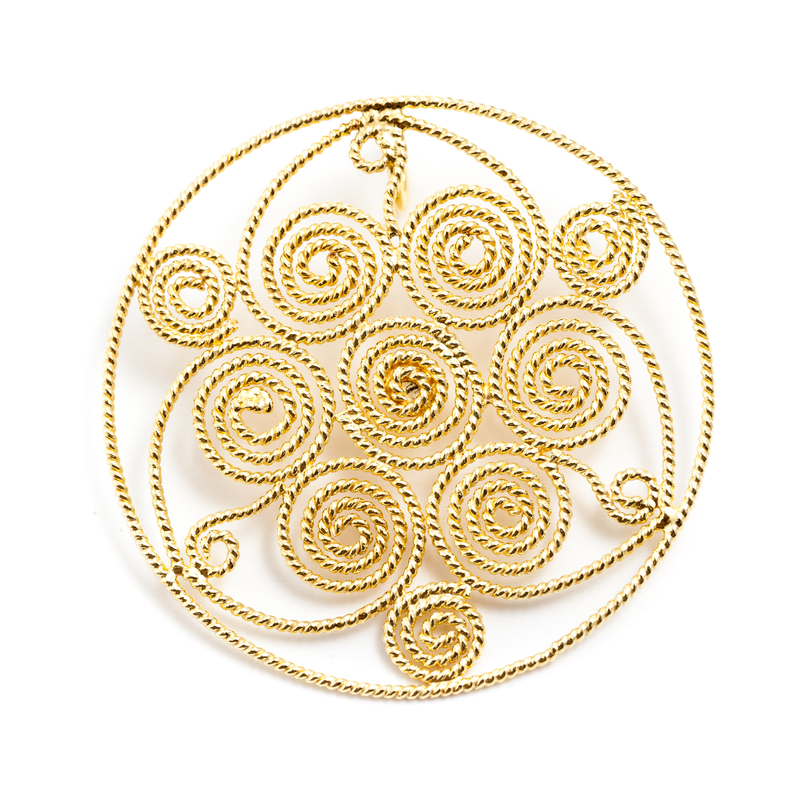 Round-shaped Hand-craft gold filigree pendant. The fine composition of its decorative motifs and the lightness of the gold thread are the core features of this jewel. 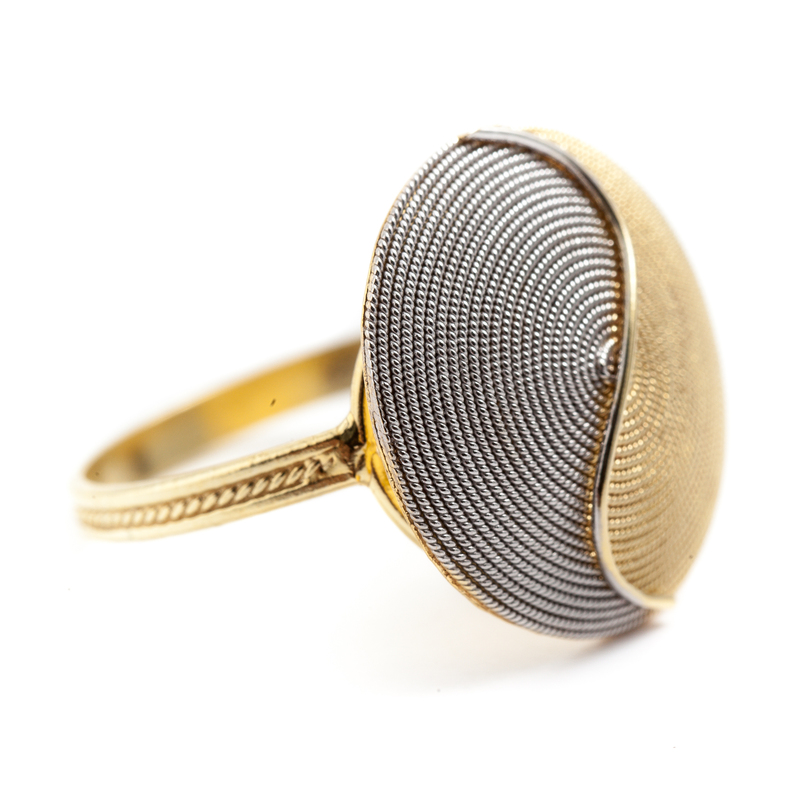 Gold filigree ring featuring a modern and original design; it is part of the Tao collection, that is characterized by the chromatic cotnrast of yellow and white gold, and includes rings, pendants, earrings and brooches. This gold filigree pendant reminds of a traditional costume button, with its rounded shape, embellished with a garner mounted on its bezel, flat-foil leaves and dots, flat-section edge, flat-ridge edge, flat edge and twisted flat edge. 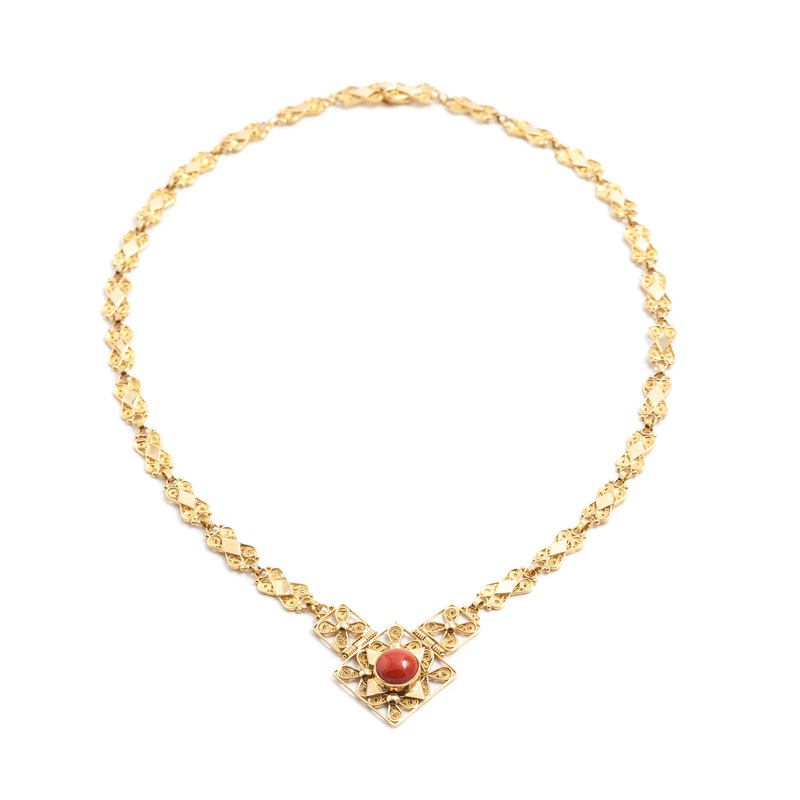 Gold necklace featuring a sophisticated and exquisite filigree work of all its elements. The chain includes flat-section thread elements, wrappings and small diamond-shaped polished foils. The central square section features a coral bezel. A jewel typical of the Southern Campidano ladies' costume; it consists of three elements: the Su Froccu on top, the central Sa gioia section and the lower Su Dominu. 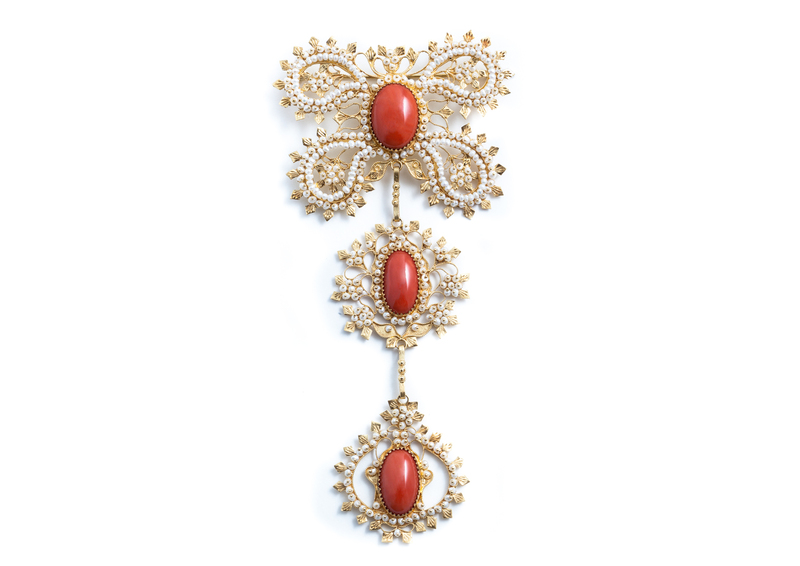 This jewel was part of the brides' trousseaus and it was worn during official cerimonies. Being a member of an ancient family of goldsmiths, in 1967 Fernando Marrocu and his wife opened a workshop in Villacidro. In the early Eighties, his children - two of whom have worked in several goldsmith's workshops honing their skills - joined him and founded what is now the Fabbrica Orafa Artigiana di Fernando Marrocu e Figli . Over the years, the company has grown. It now has several employees who have completed their apprenticeship there and actively contribute to it, under the guidance of the Marrocu brothers, carrying on a production that echoes traditional and modern goldsmith's art designs. The production of the workshop is rather wide and varied, including traditional Sardinian wedding rings and complex traditional jewellery. Each jewel is a very peculiar and it is intended not only as a decorative object but also as an element of a specific cultural identity, part of fine goldsmith's tradition. Several goldsmith techniques are implemented: filigree, embossing, chiselling, fretworking, engraving and granulation. Each object is created as part of a specific project, that includes research, study, processing technique and its application.